Everything is on sale at Chico's boutiques in the U.S. and online on the official website. 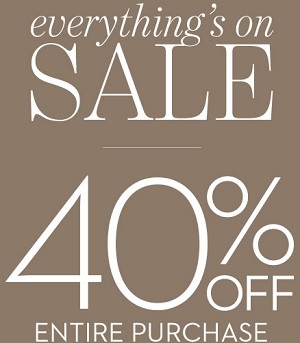 Visit any Chico's boutique and receive 40% discount on your entire purchase. Passport members take an additional 5% off. Some exclusions may apply. Offer is time limited. More information about the offer available at Chico's boutiques.